Made by Zwiener Jansen Successeur, this antique round centre table is based on a design built for the Chateau de Fontainebleau in the 18th Century. 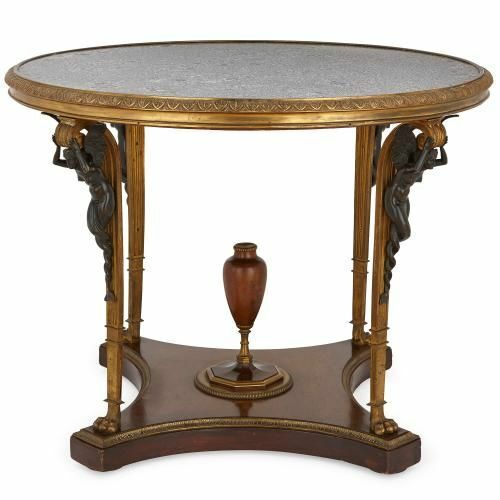 The round table is topped with grey veined marble set within a band of gilt bronze, which is decorated with an egg and dart design. 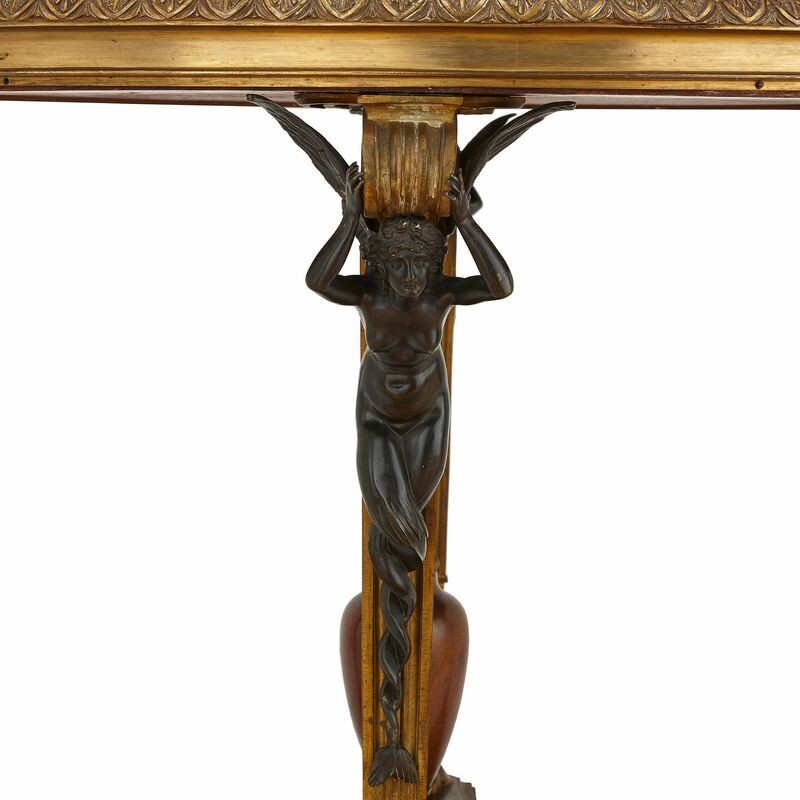 The top is set on four fluted gilt bronze legs which scroll at the top, each of which is mounted with a patinated bronze caryatid. 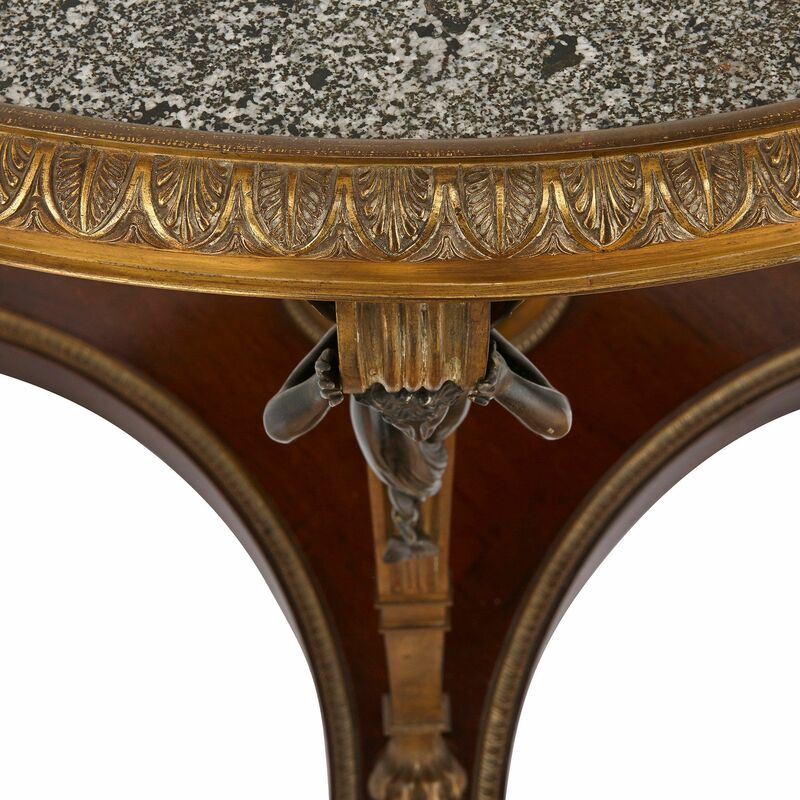 The legs terminate on paw feet which stand on a curved, ormolu-mounted mahogany base. 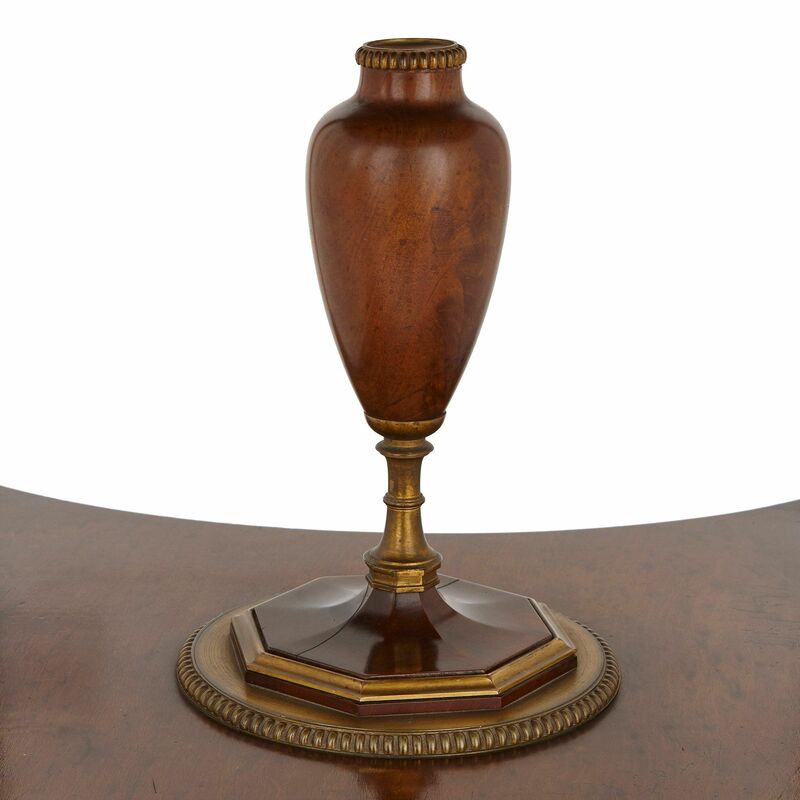 A wooden urn with gilt bronze detailing sits on the centre of the base. 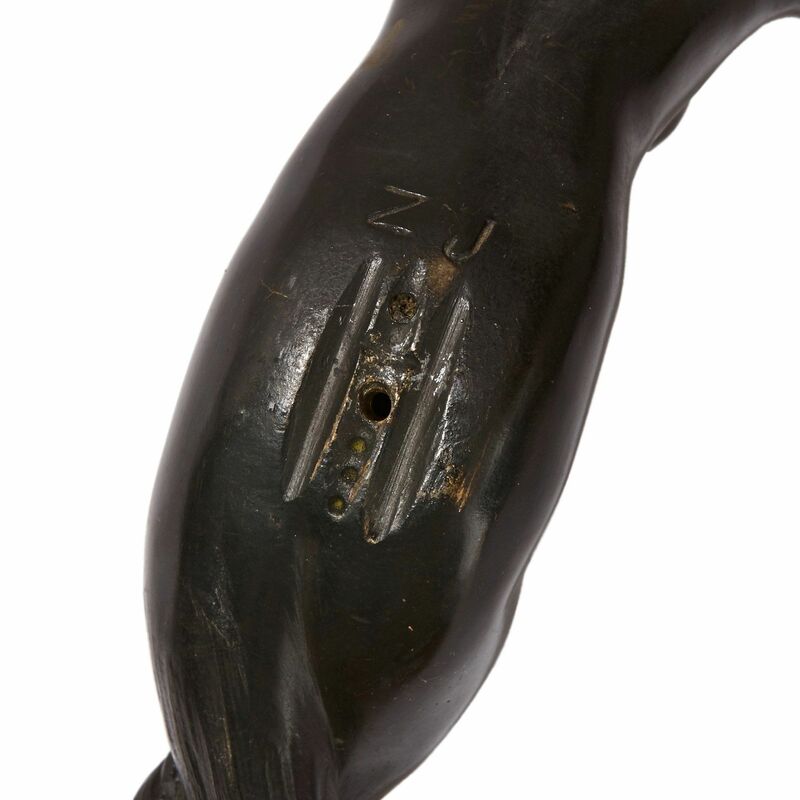 The stamp 'ZJ' can be found underneath one of the caryatids. This is the stamp for Zwiener Jansen Successeur, a French company which was part of Maison Jansen, active in Paris in the late 19th and early 20th Centuries. 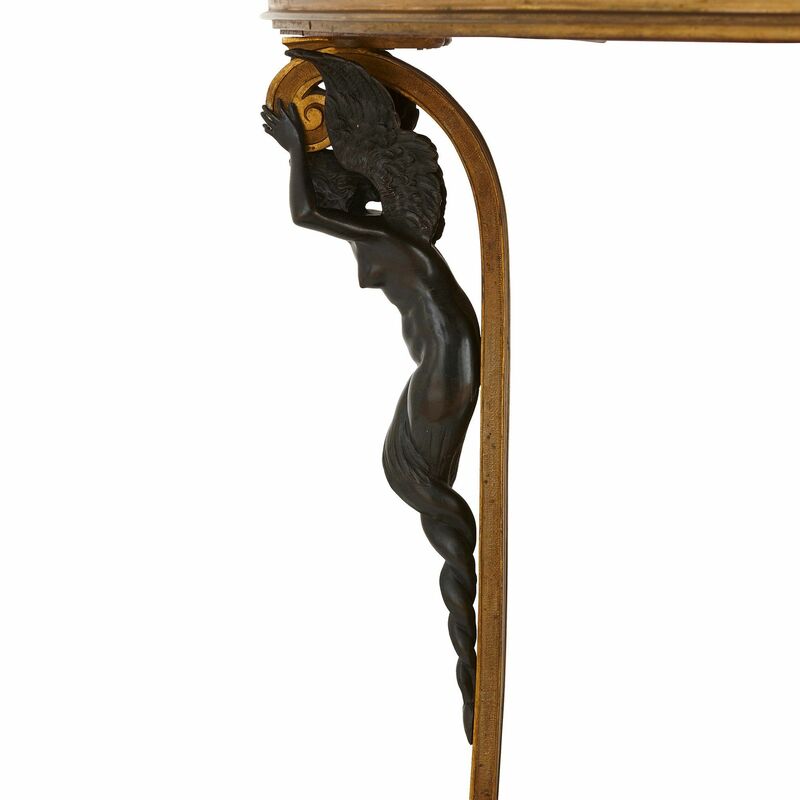 The table, as well as this similar example, was built after a model by Adam Weisweiler (French, 1744-1820) and Pierre-Philippe Thomire (French, 1751-1843). 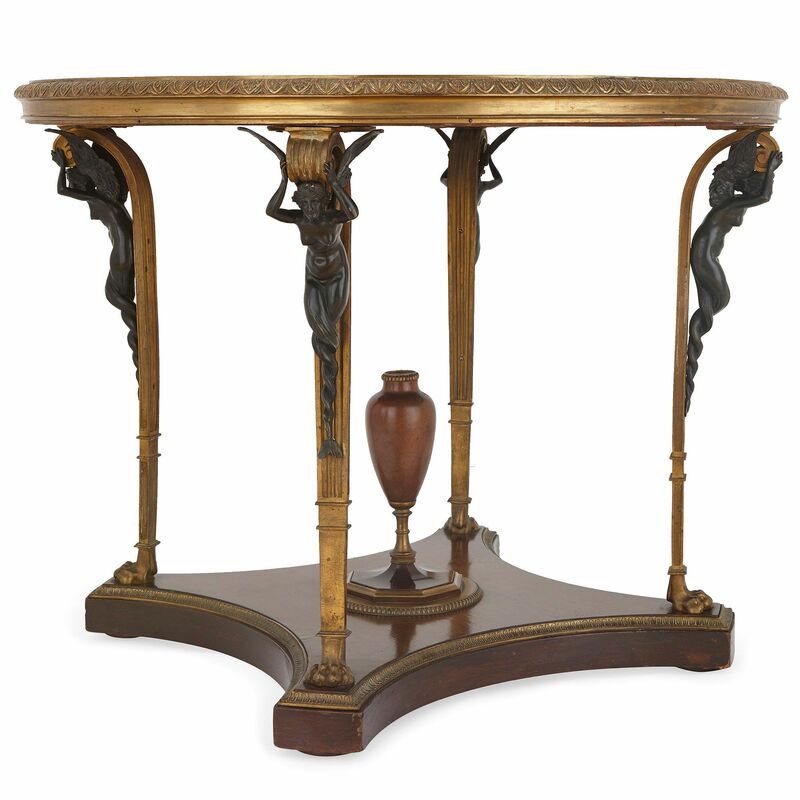 The original model was built for the Palace of Fontainebleau in France, where it was delivered by Rocheux in 1810. 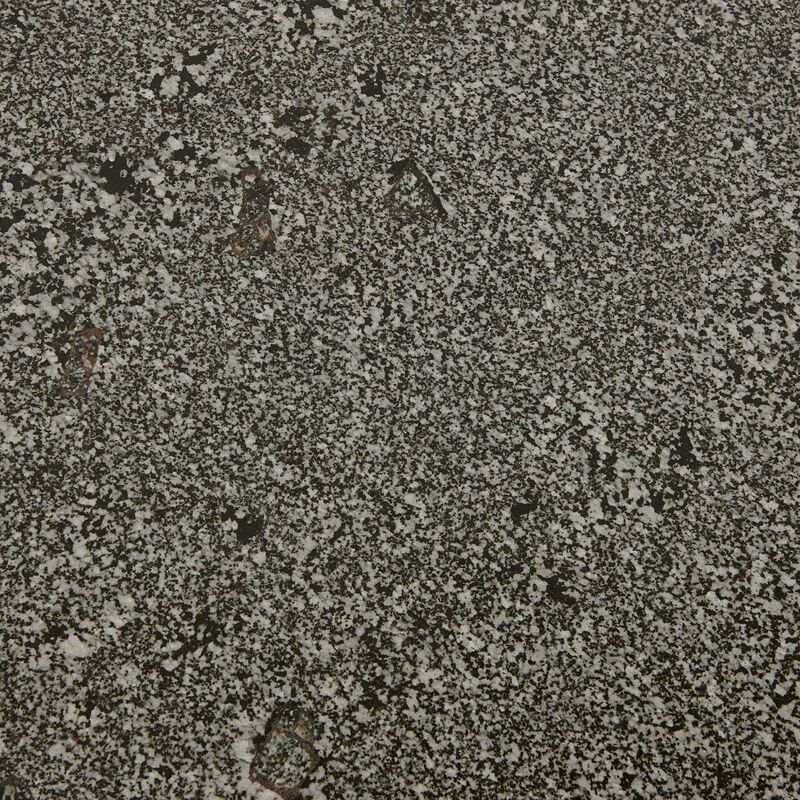 J. P. Samoyault, Meubles entrés sous le Premier Empire, p. 248, no. 176.